A delicate and spreadable product. ​A rice delight, soft and delicate spreadable product from sprouted brown rice. Ideal for a snack or a lunch on the go. Mix it up with any vegetables or side dishes. SpalmaRisella, like all other MozzaRisella products, is a vegetable based alternative to cheese. It is a 100% vegan product, fresh and pasteourized product without colorants and preservatives. 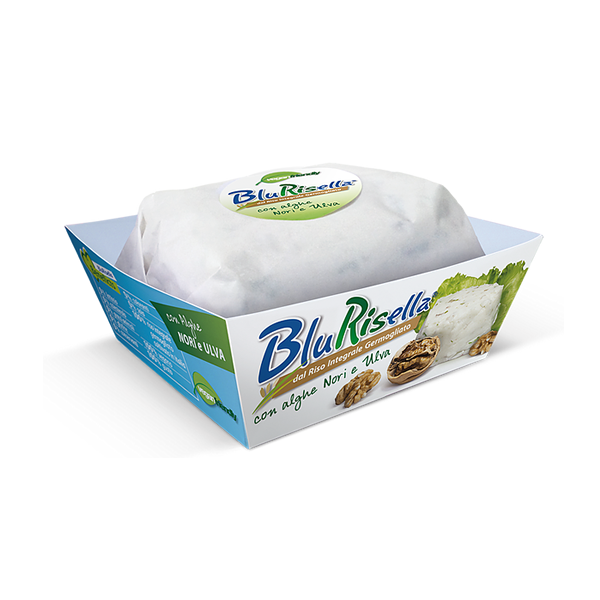 SpalmaRisella is a light and delicate, soft and spreadable vegan cheese. It recalls the classic “Stracchino” cheese, an excellence of northern Italian dairy tradition. It is ideal for those who suffer from milk, lactose, gluten or soy intolerances. Spread it on top of a bruschetta or pair it up with some fresh vegetables. Excellent snack with olives, fresh diced tomatoes or legumes. Some reciupies uses it as an ingredient for vegetal bechamel or to garnish creams or cereals. Rich in nutrients such as fibers, vitamins and oligominerals from Germinated Whole Rice. It’s a fresh product, once opened it is best consumed within few days. ​SpalmaRisella is ideal for those who have milk, lactose, gluten or soy intolerances. The delicacy of its soft texture makes it particularly suitable for those who have mastication problems. It is made from Germinated Whole Rice where all its nutrients, such as fibers, vitamins and oligominerals, come from. Everybody can enjoy it: the young and the elderly. Try it into the soups for your infant or anywhere you like it.